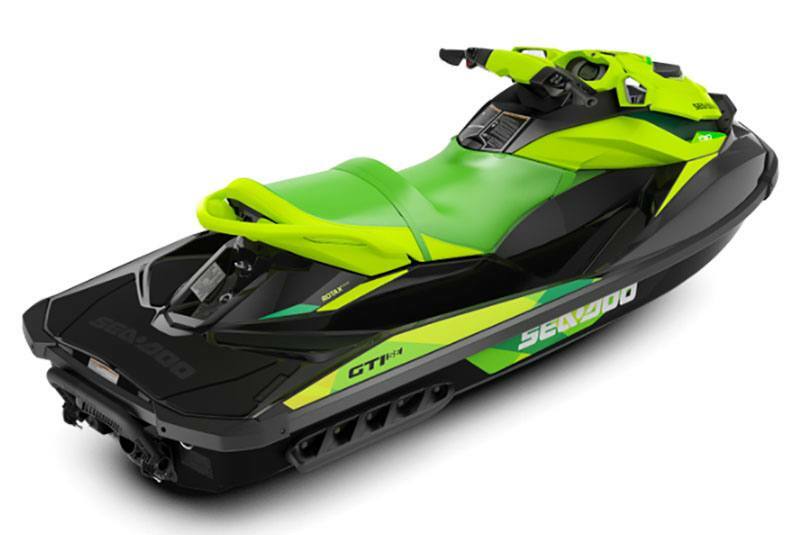 Discover more convenience and comfort for days of family fun with the GTI SE watercraft: Touring Seat, Boarding Ladder and Variable Trim System (VTS). CONVENIENCE FEATURES: This model comes standard with 31 US gal. (117 L) of storage space, a touring seat, a boarding ladder and additional gauge functions (fuel consumption, clock). 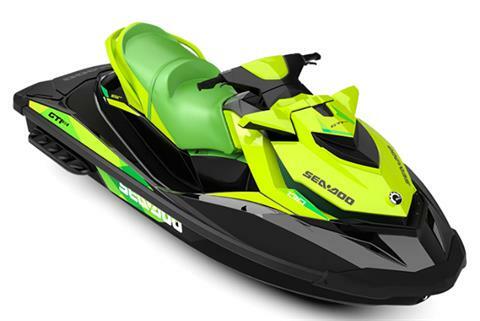 INTELLIGENT BRAKE AND REVERSE (iBR): Recognized by the U.S. Coast Guard for improving boat safety since 2009 and now in its third generation, the Sea-Doo exclusive iBR system allows you to stop up to 160 feet (48 m)* sooner than watercraft not using a brake. With both hands on the handlebars, riders can engage forward, neutral, and reverse for stable, worry-free maneuvering at low speeds. VARIABLE TRIM SYSTEM (VTS): Adjust the nose angle of the watercraft higher (for better stability at high speeds) or lower (for towing and quick starts) based on rider preference, water conditions, and number of passengers. INTELLIGENT THROTTLE CONTROL (iTC): Choose how you want your power delivered thanks to different riding modes such as Sport and ECO - available through your watercraft digital information center. TOURING SEAT: Ergonomically designed for comfort and great looks while providing ultra-plush seating for three. Permits rear-facing spotter for watersports. BOARDING LADDER: Makes boarding from the water easier and quicker. BRP limited covers the watercraft for one year.